Do you have a love for the high-end lifestyle? Well this post is just for you. The necklace you see is one of the most expensive pearls in the world. On April 16th, 2013 this Rare Three-Strand Natural Pearl Necklace auctioned off for $1.4 Million at Christie’s as a part of New York Magnificent Jewels. This necklace features three strands of 180 large natural pearls (ranging in sizes of 4.95 to 11.05mm). The feature that makes the look really stylish and expensive is the emerald and diamond clasp. What do you think? Is it worth the price? 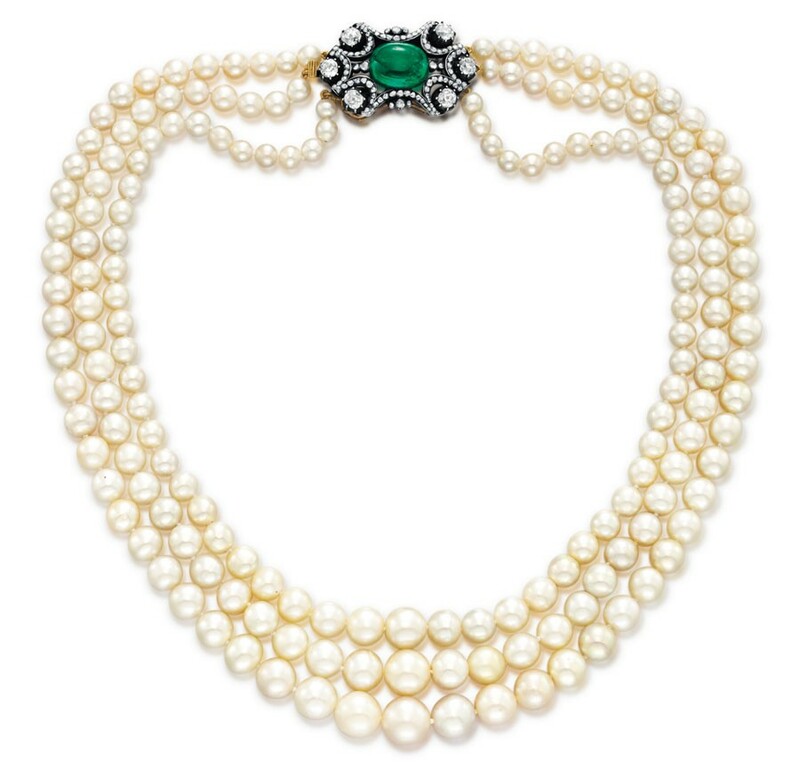 This entry was posted in PearlsOnly and tagged $1.4 Million, auctioned, Christie’s, diamond, emerald, Magnificent Jewels., NECKLACE, New York, pearl, Rare Three-Strand Natural Pearl by PearlsOnly Team. Bookmark the permalink.